U.S. federal mail tampering laws exist to protect citizens from mail theft and leaking private information. Additionally, mail tampering laws prevent citizens from opening someone else’s mail, and the Fourth Amendment to the Constitution that prohibits unwarranted searches and seizures applies to postage as well. Therefore, citizens may not open mail that is not addressed to them. However, some exceptions to the laws may arise and complicate matters. The team at MovingAddresses.org explains how mail tampering laws work in the sections provided below. Mail tampering laws seek to stop citizens from becoming victims of mail fraud or theft, and these laws operate under the Privacy Act. The laws are in place to secure citizens’ identities and personal information, and the U.S. Postal Service enforces the laws. Scams and faulty sweepstakes are prominent examples of mail fraud, and opening someone else’s mail is considered mail theft or tampering. Damaging or destroying others’ mail is also a form of mail tampering. The team at MovingAddresses.org advises all citizens affected by mail tampering to report incidents to the U.S. Postal Inspection Service. If citizens intentionally open mail that is not addressed to them, then they may face penalties such as imprisonment and large fines, and the offense is classified as a felony. The extent of the penalties depends on the severity of the crime and any associated crimes that the citizen committed after opening someone else’s mail. For example, citizens accused of stealing or interfering with mail from the post office face harsher consequences than citizens who take mail from others’ property. Additionally, postal inspectors, as law enforcement agents, have the right to make arrests and serve warrants to citizens they suspect have violated mail tampering laws. 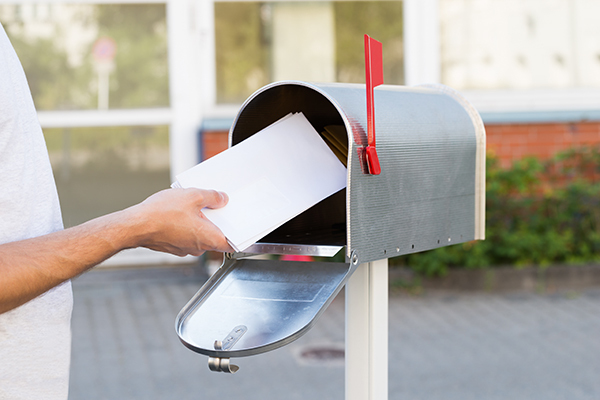 The team at MovingAddresses.org reminds citizens that taking mail addressed to someone else from any location other than their own mailboxes is mail theft and punishable by federal law. A few exceptions to federal mail tampering laws apply to citizens and U.S. Postal Service employees. First off, citizens who open others’ mail without knowing cannot be punished for or convicted of breaking the law. For instance, another’s mail could have been mixed in with a pile of mail addressed to the recipient, and he or she may have begun to open envelopes before realizing a letter was not addressed to him or her. In any case, the team at MovingAddresses.org encourages all citizens who accidentally open someone else’s mail to properly address the issue by ensuring the intended recipient receives the mail. Secondly, postal workers have the jurisdiction to open unidentified mail or mail that may contain hazardous or illegal materials if they have probable cause to do so and obtain warrants. Furthermore, organizations may open mail under any name addressed to the organization’s building. As such, the team at MovingAddresses.org suggests that citizens refrain from sending personal letters and documents to their work addresses.